Wow, that all looks great. Am very impressed with the array and the amount of spices you have in particular. Thanks Greg! 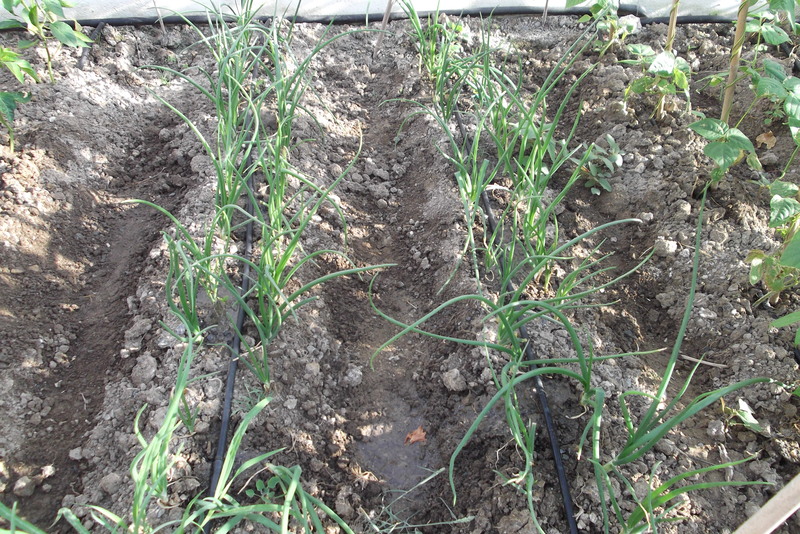 But I´m so frustrated this year with my (lack of) parsely and coriander….I will have to persevere. We´re very lucky indeed! Coriander is a tricky one – mine´s not doing well and I don´t know why. Frustrating as I adore it! No…the weather, or a bad plant rather than lack of ability!! 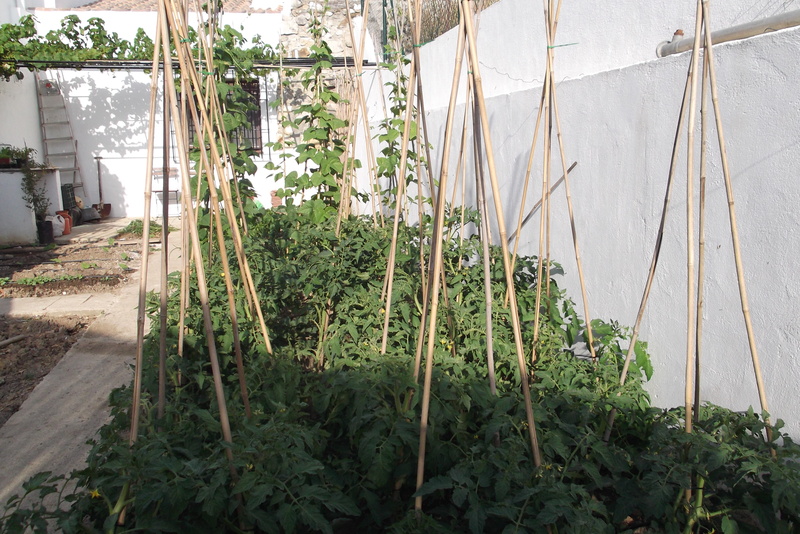 Slowly, slowly…we´re so looking forward to eating those tomatoes! 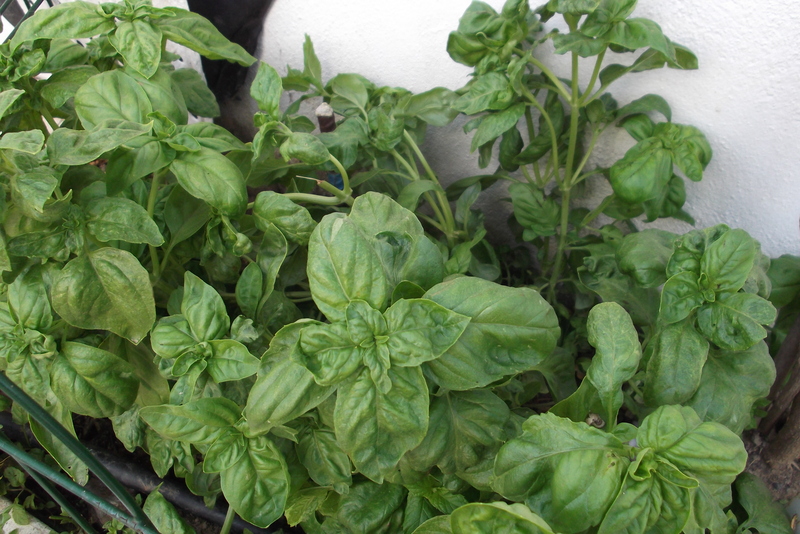 Oh, I envy you your basil. Mine still only has four leaves… sigh. It just finds it a little chilly up here. 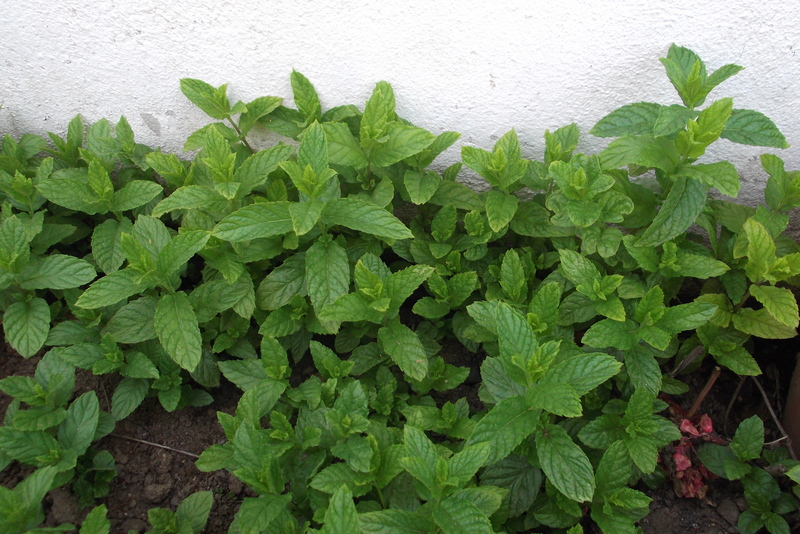 But the rest of our herbs are doing quite well. I’m going to start harvesting dill this week. 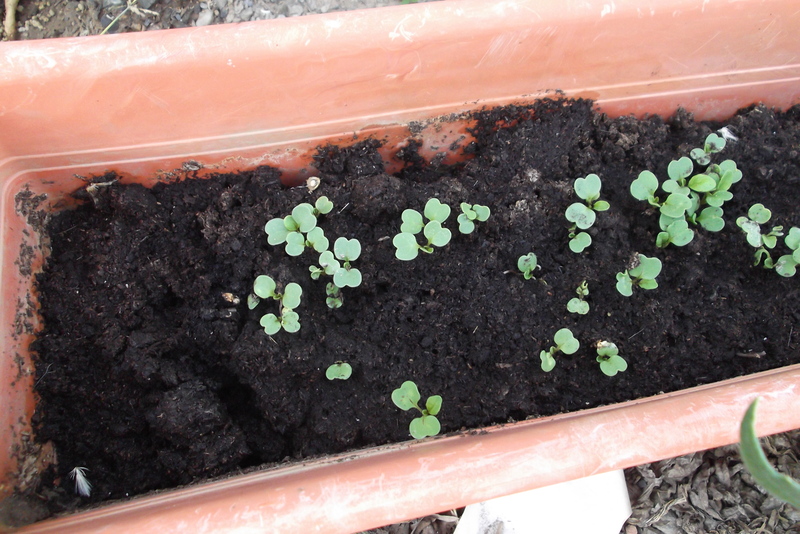 Radishes are great – they grow so quickly! And I´m told you can do marvellous things with radish tops, although I´ve still to explore this. 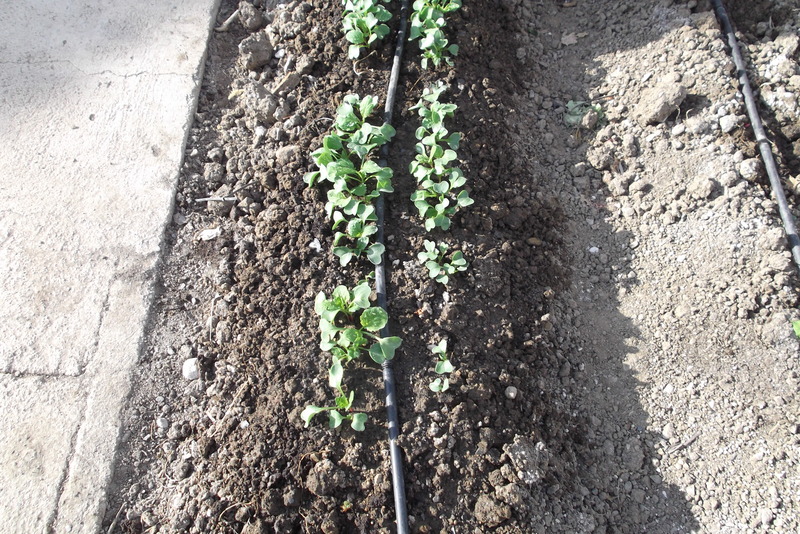 Although peas wouldn´t grow here in the heat, we seem to have had succcess over the last few years with the radishes. Good luck with the pumpkin. 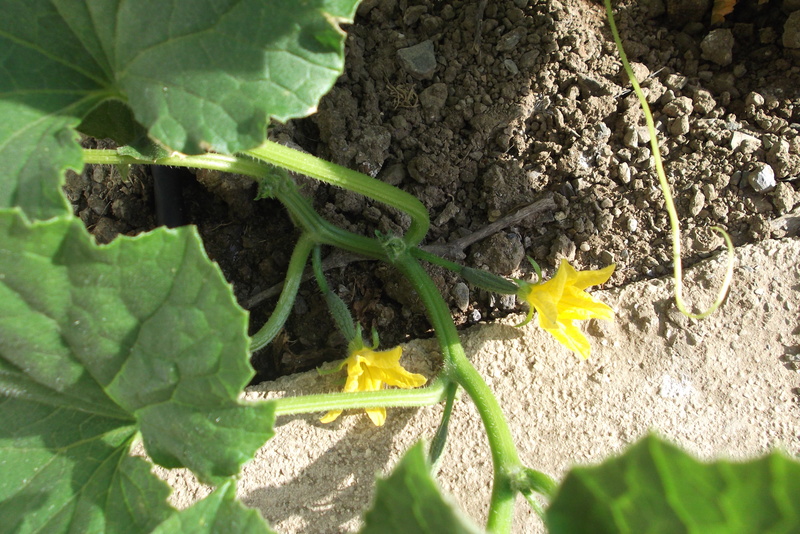 We have some courgettes too, but not yet in flower. Thanks for your kind words! 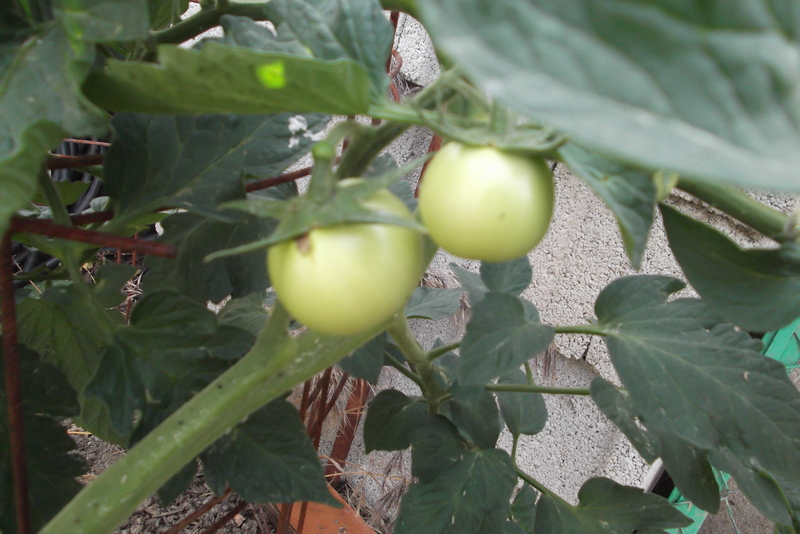 It all looks great and those tomatoes will soon be ripening. 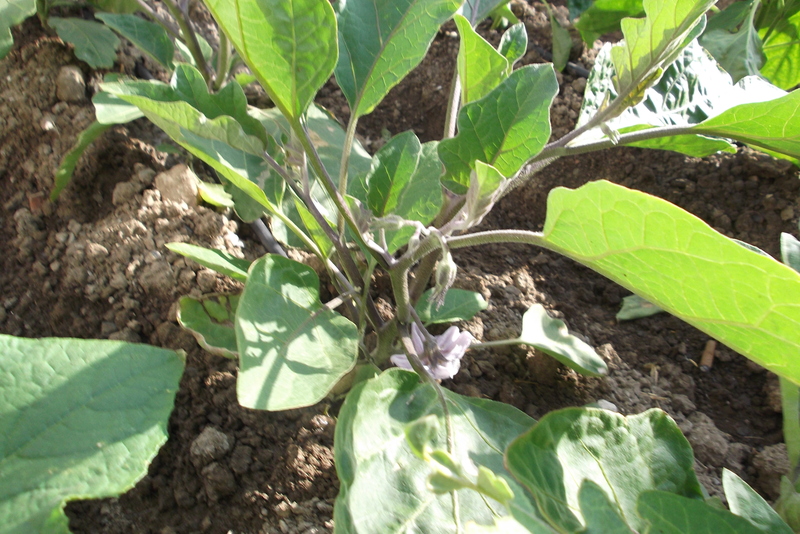 I think aubergines are my favourite plants – beautiful flowers and then they produce my favourite vegetable! You’ve got a whole summer of wonderful eating here. Yes, all of a sudden they ripen at once. Just this week we finished eating the last of the bottled tomatoes (passata) from last year. It nearly killed me to have to go out and buy tins! 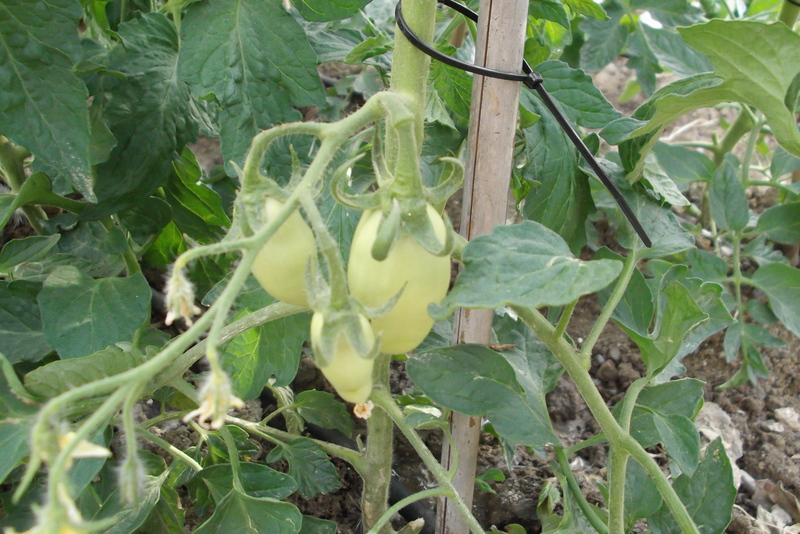 And I agree about the aubergines, they´re lovely to look at and lovely to eat. Roll on summertime! How exciting to take a walk through your lovely garden again and everything is looking so good! Coriander is my favourite of all herbs – hope yours picks up soon – you never know, i might just pop over for a visit. Oh wouldn’t that be nice. Aah, thanks Mandy. And any time you want to come and take a stroll through the garden…there´s a shady spot with a little table and the wine is ready chilling! So lovely. I wish I could come over for dinner. 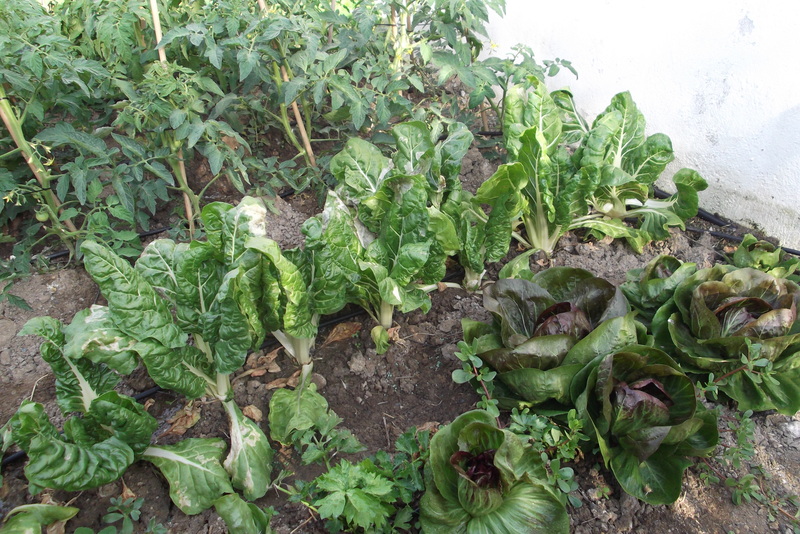 Enjoy your wonderful garden and all the yummy dishes you will be able to make! I´ll just get the barbecue fired up! Glad you enjoyed your “virtual” stroll around my garden. I’m so jealous of your garden. Apartment life doesn’t allow much space to grow things. 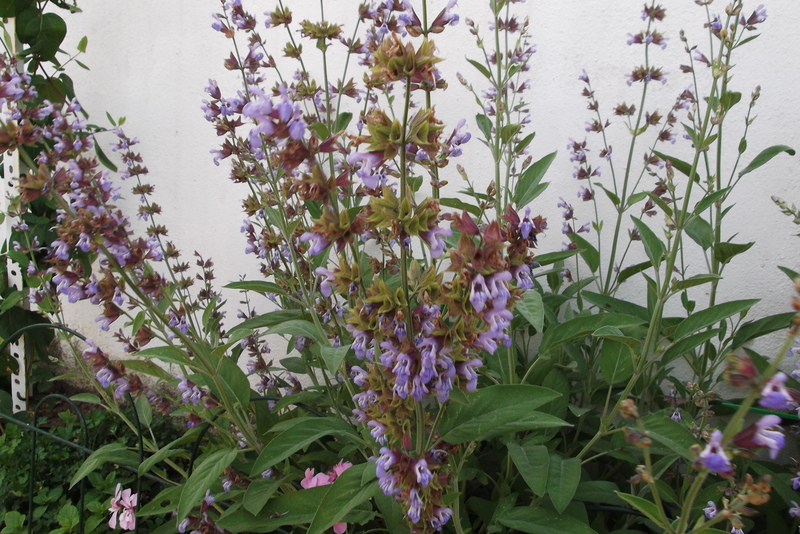 Sage (and rosemary) flowers are wonderful on a salad… tiny tasty bits of color. I sprinkle them on top right before serving or at the table so they don’t get lost in the greens. I saw your comment and went right out to try a Sage flower – delicious 🙂 had only ever used them as decorations. My rosemary doesn´t get to flower often as I use so much of it, it is constantly being cut back. Thanks for your kind words! I’m so jealous! You have a fresh market right in your backyard! I love your ideas for using your herbs and look forward to “watching” your garden grow and reading about your recipe ideas! I do have sage and forget about frying up the leaves… I think that’s my plan for tonight!! Great job on your garden! 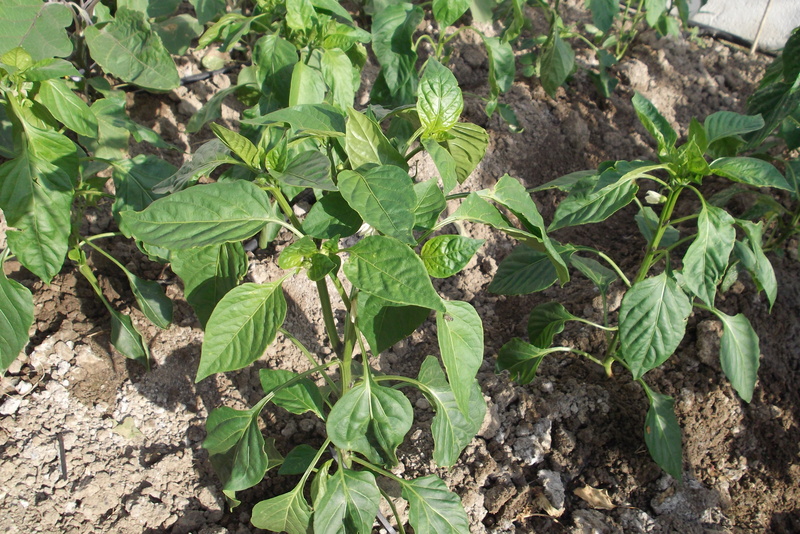 It looks like it’s going to result in a lot of beautiful crops this season. 🙂 I can’t wait to make my own garden some day. Thanks for sharing! Hi Georgia and thanks for visiting and your kind words. 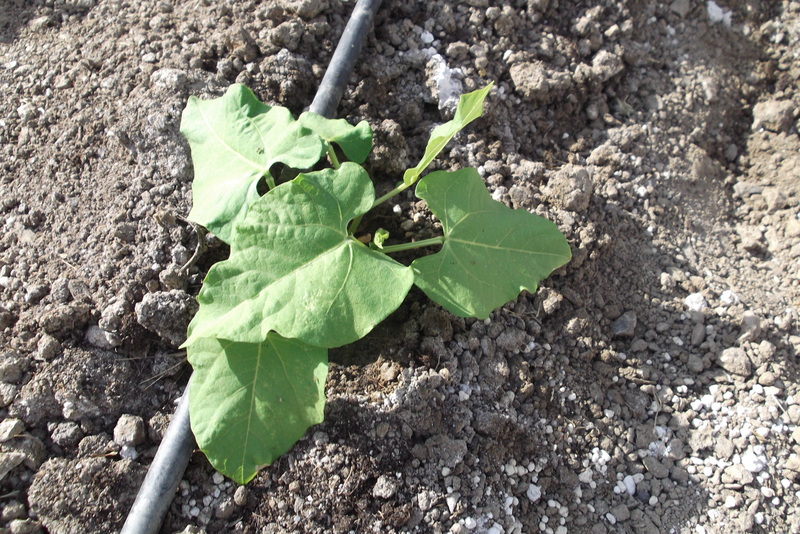 Hopefully we´ll be eating lots of delicious vegetables this summer…it´s very exciting! Am off now to have another look at your gorgeous recipes….love those cupcakes! Love to see your garden ! Everything is just great . A lot of work, for all those to grow, but, what a satisfaction in the end ! Greetings from Greece !!!! Thank you for visitng and your kind words! Hopped over to your blog, I sort of got the gist of it, and the photos are beautiful. It will be good practice for me to try and read more of it…. 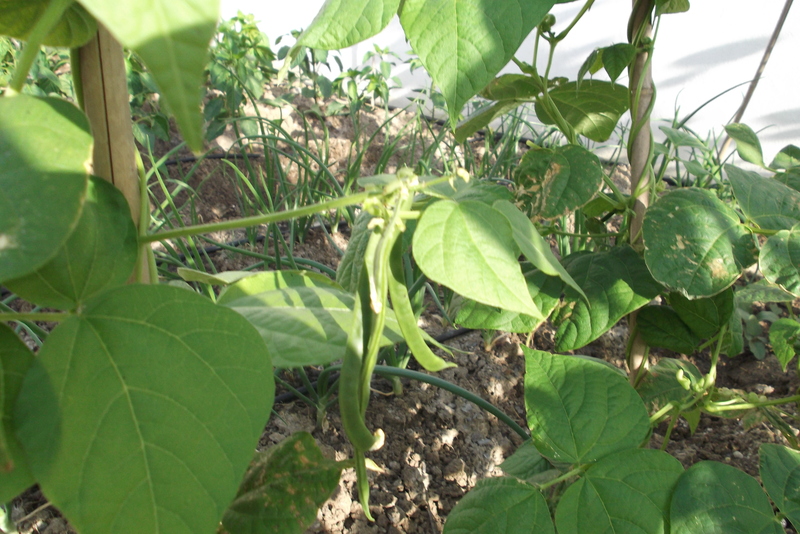 oh I wish I had a garden..
Not long now – another 2 or 3 days and we´ll be picking runner beans! Just wanted to say “hello” and tell you what a nice blog you have. I’ve really enjoyed reading it. I wanted to comment on your lovely garden. 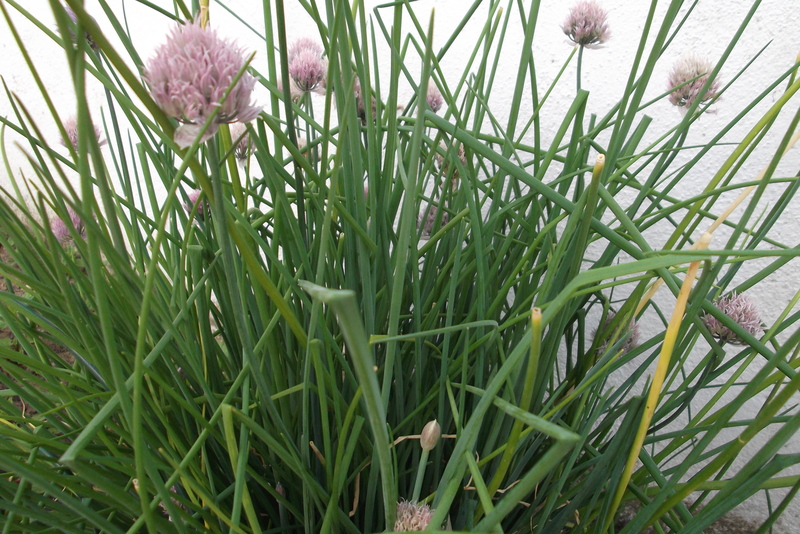 I too like to let my chives flower…they add such a nice bit of color to the garden. I have never let the sage bloom…I will now. Well hello to you too and thanks for the visit and your very kind words. Am so glad you have enjoyed what you have seen. Am hopping over to your blog now to see what you are up to, but do come back again soon!